What Kind Of Concrete Can A Mobile Mixer Produce? Simply put, all kinds. Because mobile concrete mixers are designed to mimic large batch plants, they’re able to handle the litany of design mixes available for a project. The only thing you need to do is to add aggregates to the bin, press a button or two, then watch first-rate concrete begin to flow. These terms are sometimes interchangeable as the final concrete usually takes on any hue, shade, and/or texture imaginable. But, no matter the final appearance, the overarching structural stability isn’t lost in the embellishment. This type is frequently used, if not preferred, by municipalities and road crews who strive to have roadways re-opened in a timely fashion. Depending on the design mixture, fast setting may need as few as three hours before it’s set. Fiber reinforced concrete has become a popular alternative to placing rebar or wire mesh in the form before pouring. The type of fiber added to the admixture varies based on the project but may include glass, natural, steel, and/or synthetic. It’s generally used for flooring and pavement, but also has common application in beams, pliers, and other construction parts. Sometimes called sprayed concrete, gunite and shotcrete are considered specialty types but have numerous everyday uses. Using a volumetric mixer allows operators to continuously spray or start and stop as the project dictates, rather than rely on a traditional barrel truck for delivery. 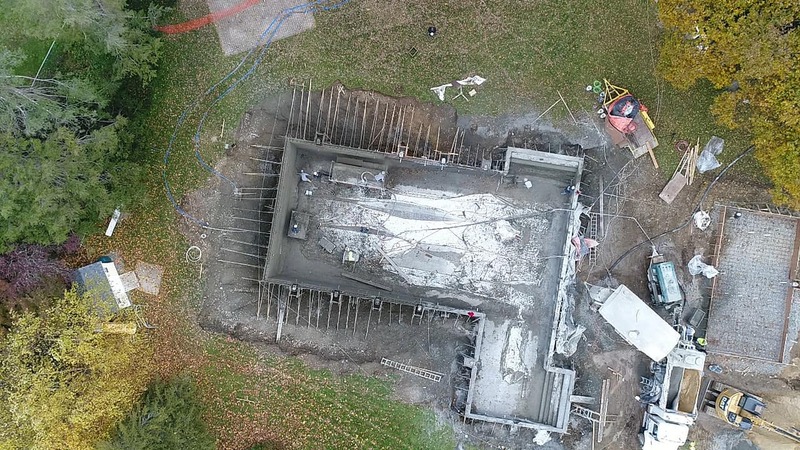 This is crucial for ensuring the structural integrity of the concrete throughout the project, such as a swimming pool, rather than in places. This kind is often found in applications where high final strength is necessary for structural integrity, such as bridge and parking structures. Using a mobile concrete mixer in this type of setting allows for minimal work stoppage thus reducing traffic delays. Also called permeable, this concrete allows water to pass through to assist with water runoff and other drainage problems. Driveways and pavement are two common uses for pervious concrete as it helps improve traction issues caused by rainfall and standing water. Precast is usually produced under detailed specifications in a factory setting. But, thanks to the customization of a mobile batch plant, the details can be handled wherever precast production is needed. A concrete pump is frequently used when access and/or space limitations hamper a project. Because the mix is poured from the mixer directly into the pump, adequate viscosity is crucial. But using a volumetric concrete mixer gives you full control over the exact amount of water added and when. This not only improves the final quality of the concrete but diminishes the likelihood of a clogged pump. Perhaps the most common type of concrete, regular — or normal — forms from a simple mixture of Portland cement, an aggregate, chemicals, and water. While it’s mostly used in residential projects, such as patios, commercial projects rely on it for its fast setting time, sometimes as short as 30 minutes.